Hear KUAR's interview with Judge Vic Fleming on his crossword puzzles. Arkansan Vic Fleming has written 46 puzzles for the New York Times over the years. 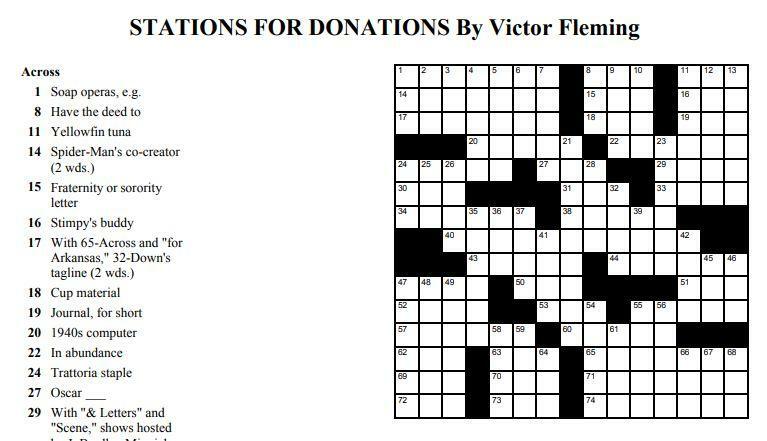 In honor of the Fall 2018 Fund Drive, he created a public radio-themed crossword puzzle for KLRE/KUAR. Grab your pencil, turn on FM 89.1 or KLRE Classical 90.5 and click here to download a printable puzzle.